Gold experienced two impressive rallies recently: on Wednesday of last week it saw its biggest jump in two months, and on Monday of this week it hit a seven-week high. Perhaps even more impressive, however, is that gold has also outperformed the S&P 500 so far in 2015. As of April 6, gold has seen a 2.5% gain this year while the S&P 500 has had a 1% gain. Why is this? George Gero, a precious metals analyst at RBC, told CNBC that Friday’s weak jobs report was what fueled gold’s rally. The disappointing data led many investors to believe the Fed will raise interest rates later in the year rather than sooner, which is bullish for gold. “Now, with so many bears in the woods, the fact that the Fed seems to be kicking the can down to the road to maybe September instead of June is helping gold tremendously,” he said. Watch the full video below. Stocks did not react so positively to the jobs data, opening Monday lower before rebounding later in the day. Bad economic news threatens earnings on equities, causing investors to sell. Gero does not think gold will take a hit if the U.S. dollar rises further against the euro. The dollar may be strong but currencies in regions such as Europe and South America are being devalued, which Gero believes will drive investors toward gold. “You’re going to see more people coming back to gold who have left gold,” he said. Todd Gordon of TradingAnalysis.com sees weakness in the dollar, which slipped in March. Gordon believes this trend could lead the Fed to keep its monetary policy accommodative, which should push gold higher. “I think this is a story of dollar weakness. I just went long gold today,” he told CNBC. Perhaps it’s time to convert some of your stock winnings into gold? 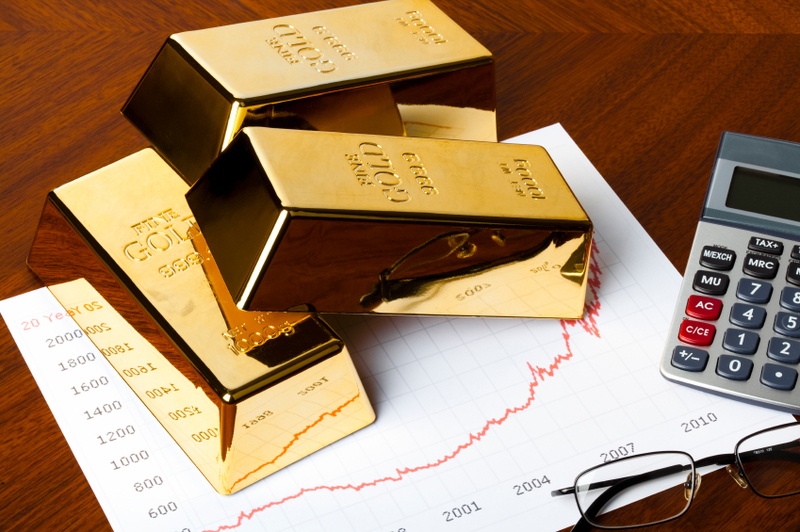 With many analysts warning of a major stock market correction, we believe buying physical gold to protect and diversify your portfolio is a wise move. Call American Bullion today at 1-800-326-9598 to learn how easy it is to add physical gold to your retirement account or make a cash purchase for insured home delivery. You may also request a Free Gold Guide when you call.